On July 13, 2011, crew of the U.S. Coast Guard Cutter Healy dipped their feet in a melt pond during Ice Liberty — a few hours during the ICESCAPE mission when scientists and crew could take a break and relax (or throw snowballs) on the sea ice. 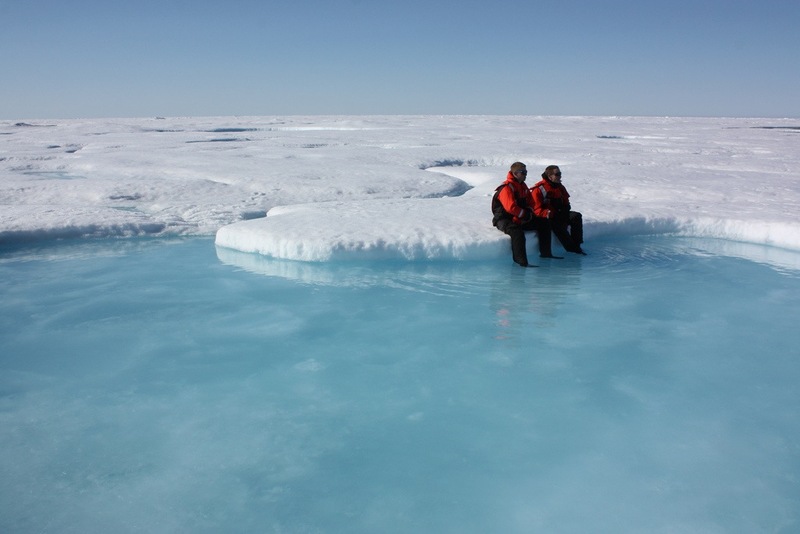 The ICESCAPE mission, or “Impacts of Climate on Ecosystems and Chemistry of the Arctic Pacific Environment,” is NASA’s two-year shipborne investigation to study how changing conditions in the Arctic affect the ocean’s chemistry and ecosystems. The bulk of the research takes place in the Beaufort and Chukchi seas in summer 2010 and 2011.